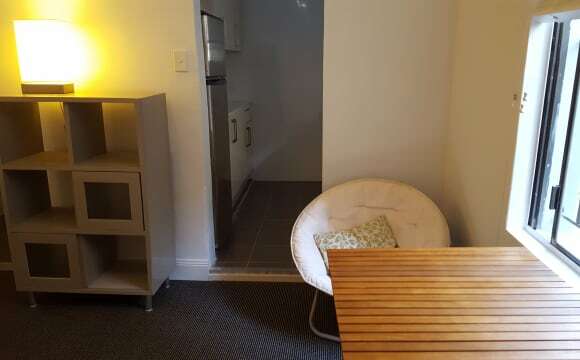 This 30m2 studio is found a cool 5 minutes walk from Coogee beach. It offers a quiet and comfortable stay in an area close to Coogee's cafe's, shops and restaurants. 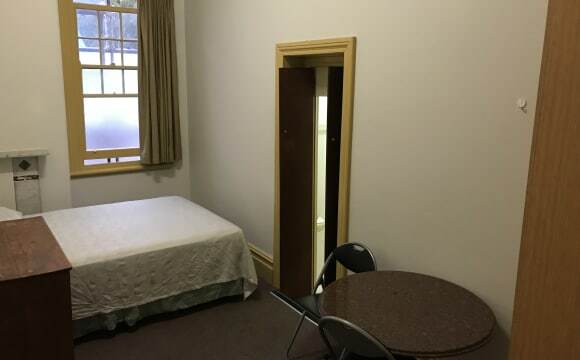 Also a 20 min walk to the University of NSW and close to city and university bus routes.The studio is completely private and allows tenants to enjoy their own space. Prospective tenants must be quiet and respectful to neighbours. Looking for someone friendly and easy going. FULLY FURNISHED DOUBLE STUDIO SUITE (bills included). . On the ground floor, with double windows, one facing east windows, that provide lots of light and garden views. 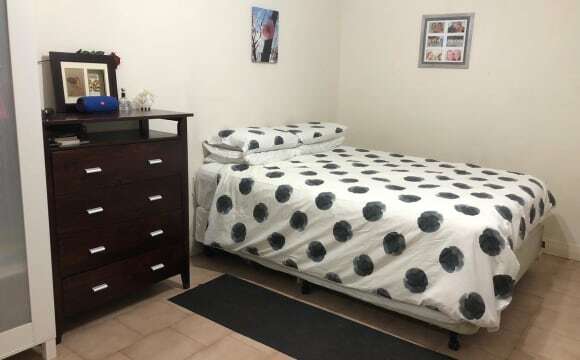 Fully furnished with a double bed and double wardrobe, table, chairs. . Includes private bathroom and separate mini-kitchenette. . Includes all bills (eg electricity, water etc) and initial bed linen. . A self cater Kitchen, Lounge, and Laundry ($3 coin operated washers Dryers and clothes line) are also available.. . Optional extras from $5pw each can include ADSL2+WiFi internet, Bar Fridge, Microwave...... . Suits a couple. . Zarita Private Hotel is a family run Boutique Hotel that provides excellent clean and secure accommodation (minimum 3 months) in a freshly renovated Federation Mansion with buses, trains, shops, beaches and parks at your doorstep. Contact Peter for further information and an appointment to inspect. . Peter. FULLY FURNISHED DOUBLE STUDIO SUITE (bills included)..... . Freshly renovated and fully furnished, on the ground floor, with balcony entrance and a large double hung north facing windows that provide lots of light and garden views. 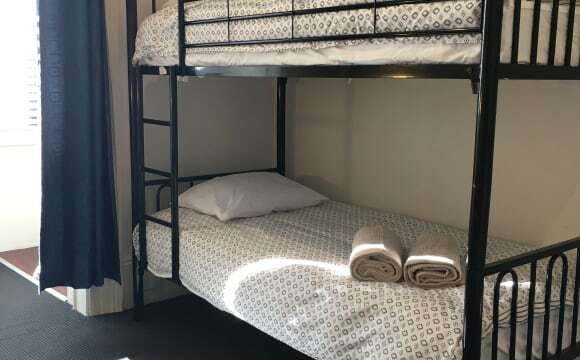 Fully furnished with a double bed and double wardrobe, table, chairs. . Includes private bathroom and mini-kitchenette. . Includes all bills (eg electricity, water etc) and initial bed linen. . A self cater Kitchen, Lounge, and Laundry ($3 coin operated washers Dryers and clothes line) are also available.. . Optional extras from $5pw each can include ADSL2+WiFi internet, Bar Fridge, Microwave..... . Suits a couple. . Zarita Private Hotel is a family run Boutique Hotel that provides excellent clean and secure accommodation (minimum 3 months) in a freshly renovated Federation Mansion with buses, trains, shops, beaches and parks at your doorstep. Contact Peter for further information and an appointment to inspect. . Peter. 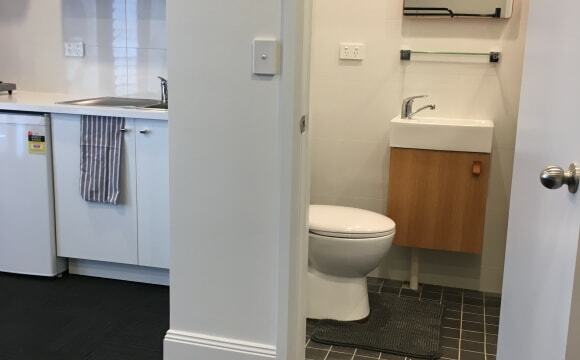 BONDI: DOUBLE BED STUDIO SUITE (bills included - 3 months min) Ideally located, a short 10-15 minute walk from Bondi Junction Train/Bus interchange, Westfield Shopping, and Bronte/Bondi Beach. Features include: * Double studio suite. * Includes Mini-kitchenette and Private Bathroom * Fully Furnished with Double bed (new linen included), wardrobe, marble table, chairs etc * On the first floor with garden views and ocean glimpses. * All Bills included, so it’s all set up so you can move straight in. * Flexible terms with a minimum 3 months stay, then only 2 week’s notice of departure. * Laundry ($3 Coin-Operated Washers Dryers and Clothes Line) available on site. * Common areas also include Outdoor Garden, Lounge Room and 2 Self-Cater Kitchens. * Very clean and quiet place. * Security building. * 3 major bus stops nearby. * Suits a couple * Optional extras from $5pw each can include ADSL2+WiFi internet, Bar Fridge, Microwave. * Zarita is a family run Boutique Hotel that provides excellent clean and secure accommodation in a freshly renovated Federation Mansion with buses, trains, shops, beaches and parks at your doorstep. Contact Peter for further information and an appointment to inspect. Peter..
Amazing location in Surry hills. 15 min from central station and oxford street. Really beautiful studio . Very big and nice outside communal area and bigger kitchen ! All bills included and room is furnished with a tv. Room Is 420 everything included. Couples are welcome. This is a private studio in a lodge . 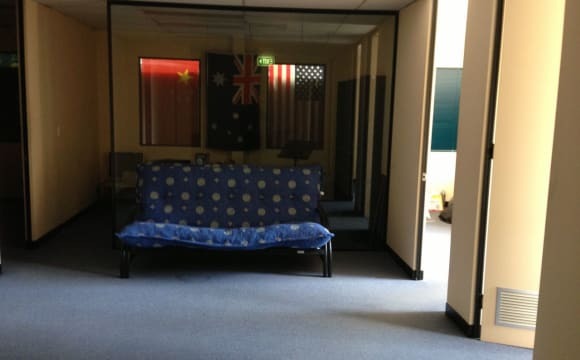 The studio is approximately 25square metres large and in a great location with excellent transport links to City, Bondi, Chatswood and Inner West. Close to shops, cinema, library, cafes and restaurants and situated on the ground floor of a lovely terrace building it is only a stone's throw from leafy Paddington Reservoir. The studio has lots of light and loads of storage. There is a double bed, and separate kitchen with gas cooktop and microwave. The building has security code entry and there is a communal laundry free of charge. All other tenants (8 units in total) are quiet and respectful. Only non-smokers need apply. Please note: We also have two great studios coming up in Darlinghurst also very well located - one is very large and full of light ($450 plus bills) and the other a charming garden flat ($400 plus bills).